It’s been great over these last couple of days to hear comments and stories from folk who were involved in the Together week of mission….keep sending them in. 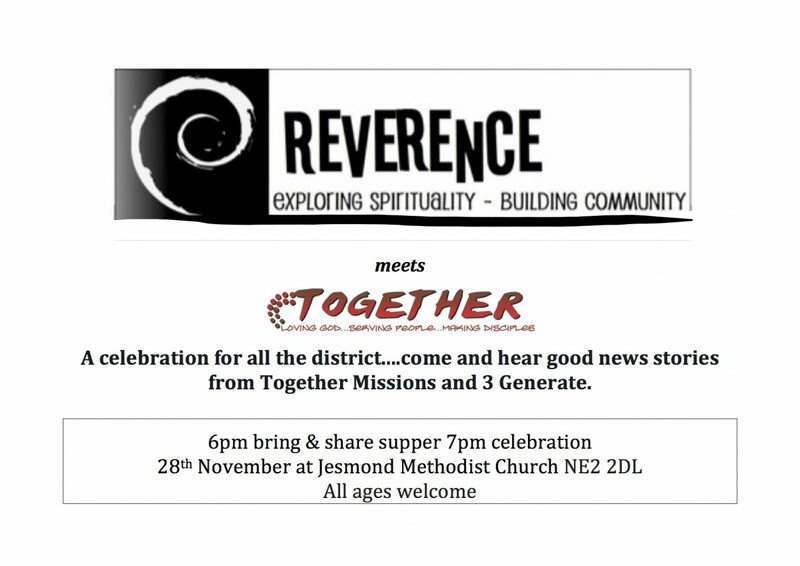 On 28th November, our district contemporary celebration will have much time given to sharing and hearing from one another. 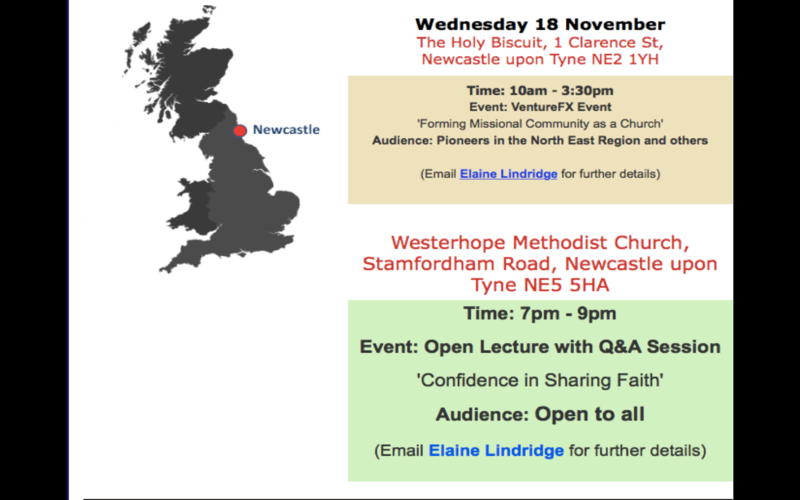 So come along and share your good news story. 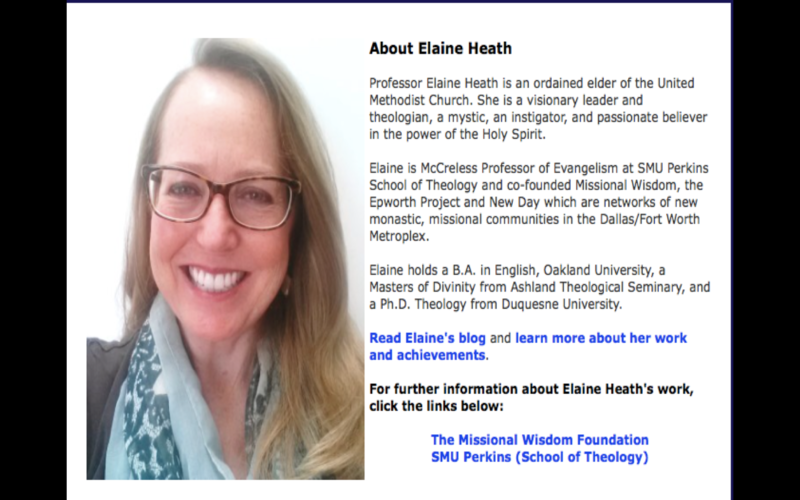 On the 18th November we have Elaine Heath visiting our region and she will lead a session called ‘Confidence in Sharing Faith’ at 7pm at Westerhope Methodist Church…..all are welcome.